According to research by a major UK comparison website, electric cars could cost the UK government a staggering £24 billion in lost revenue if we all opted for battery powered transportation. The electric car market performed very well in 2012 with sales nearly doubling in the first nine months of the year. 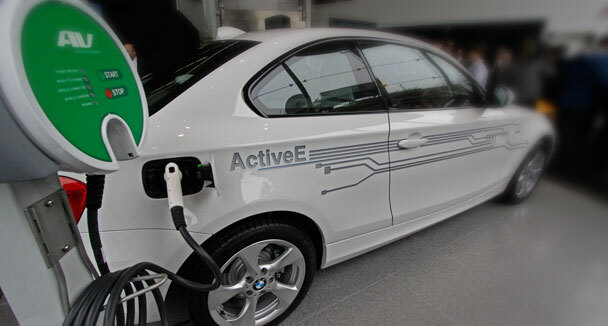 The growth has been attributed by a number of factors including the increase in electrically powered marques on offer and the continuation of the UK Government’s electric car grant scheme. The scheme for qualifying cars allows buyers to enjoy a £5000 grant from the government towards the purchase price of the vehicle The scheme was introduced in January 2011 and according to government sources, 3,021 claims have been made through the Plug-in Car Grant scheme up to the end of 2012. By in the large the biggest cost to the government purse would be the lost duty and VAT from fuel sales. This would account for 80% of all the lost revenue and would see forecourts across the country deserted as the national grid struggled to supply enough power to recharge the populations vehicles. The lack of road duty charges would account for another £4.8 billion while other cost saving benefits would also be passed on to motorists. With electric car insurance costing upwards of 5 percent less than that for fuel powered vehicles, the UK as whole would save a fortune in protecting their battery powered rides. At present, until manufacturers can address the range, recharging times and price issues that plague electric cars there’s no real danger that the UK public will up and jump ship in to a world of plug in vehicles. However it does make you think how long the government can sustain their cut price road funding and grants as we steadily move towards the new generation of “eco” cars and alternative fuels such as electric and biofuel.